So you've chosen a Baltic cruise. You're bound to have a good time - but with a little extra planning, you can have a great time! 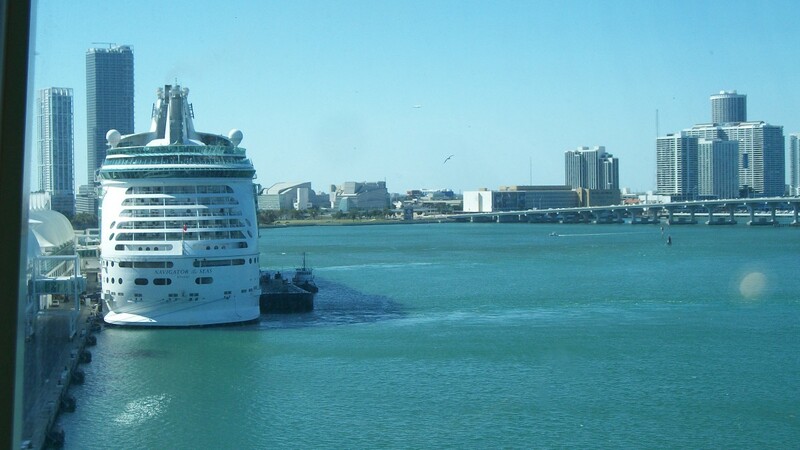 It's always safer to arrive at your embarkation port a day early, because if you don't check in at the ship on time, the ship will leave without you. 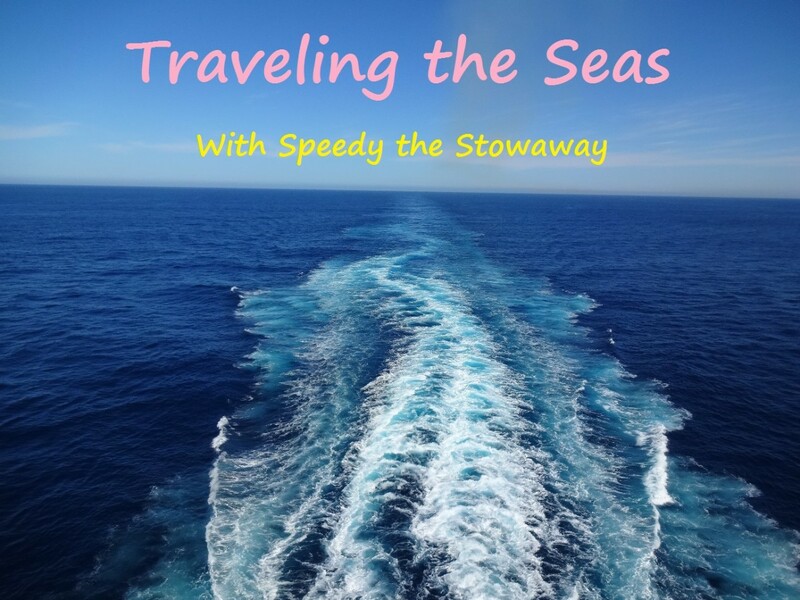 If you're new to cruising, you may scoff, "there's no way they will leave without paying passengers". But they will! I've just returned from a Baltic cruise. We (and thirty other passengers) missed our flight from London to Copenhagen. We were able to get another flight - twenty-eight of the other passengers did not. The ship sailed without them, and they had to make their own way to Oslo (the next port of call) and join the ship there. So arriving a day ahead is a wise safeguard. In fact on a Baltic cruise, I'd advise arriving a couple of days early and taking a side trip to Berlin. You can fly from Copenhagen to Berlin in under an hour, giving you a full day to see all the sights - whereas if you do the shore excursion from Warnemunde, it will take you three hours to get to Berlin and three hours to get back, leaving only a few hours for an unsatisfactory whirlwind rush around the city. Your cruise line can book a hotel for you, though you may find something cheaper if you DIY. Baltic cruises are all about visiting the ports, as the weather isn't likely to be sun-bathing weather! You can take the easiest option and book shore excursions on board - but it is also by far the most expensive option. You can cut your excursion costs by more than half if you choose wisely. Cruise operators often try to frighten passengers into booking the ship's shore excursions with the threat that if you don't get back to the ship in time, it will sail without you. That is true - but on the Baltic, there are several operators who will guarantee to get you back in time. In the very unlikely event that they don't, they'll pay all the costs to get you to the next port. The largest and best-known of these operators are SPB Tours and Alla Tours, who can offer excursions in every port around the Baltic. However, I would strongly recommend booking the unique Friends of Dave excursion for the Warnemunde stop (see below). 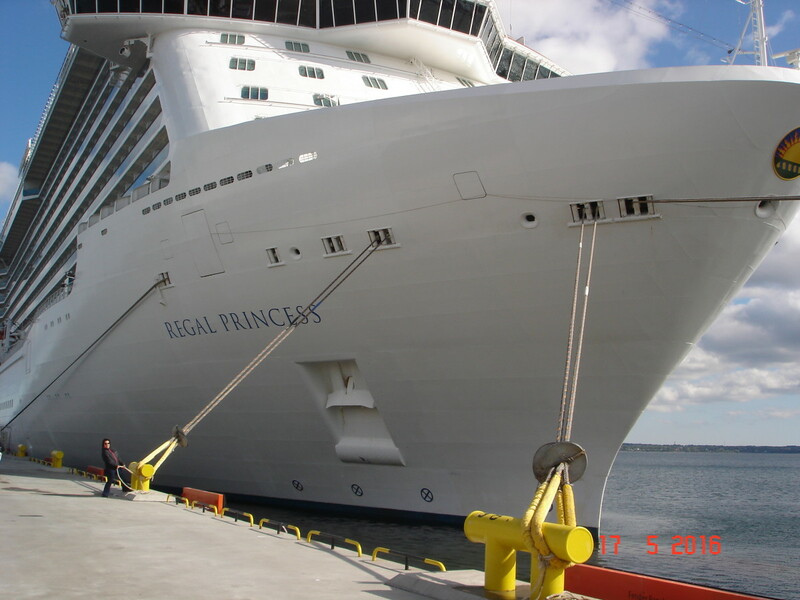 Be prepared for big crowds at all the ports if you are travelling in peak season - all the major cruise lines visit the same ports, often on the same days. We regularly found ourselves mooring alongside two or three other ships. 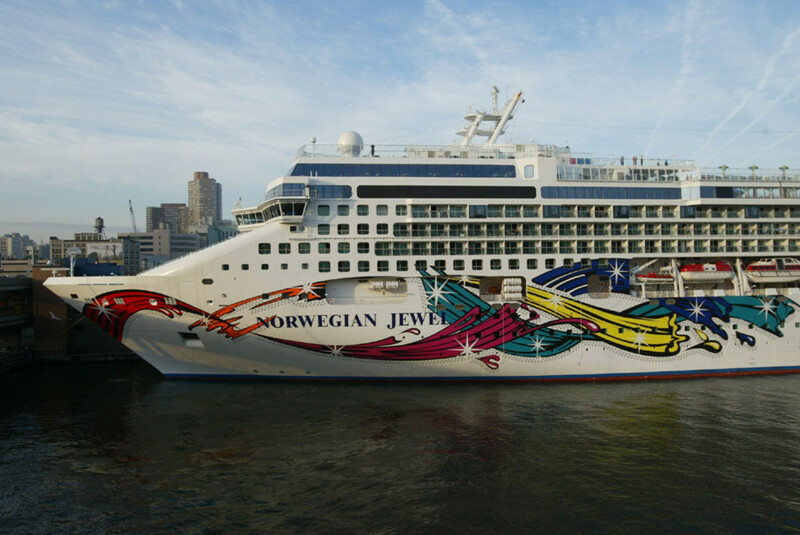 Copenhagen is usually your embarkation port so you'll be carting luggage, which means that an embark or debark tour, booked through the cruise ship, is the easiest option. There is really no need to book an excursion in Oslo as the Hop-on, Hop-off buses stop right at the port. They cover all the same sights as the ship excursion at a fraction of the cost, with good commentary on the trip. Ships often have a longer stay in Oslo so you have plenty of time to get back to the ship. If you really must visit Berlin from this port, then an excursion with the ship or one of the big operators is an absolute must. Berlin is three hours away and to do it yourself means taking the train - if your train is cancelled or late, you'll miss the ship. However as I've already said, I think it's mad to travel three hours each way to spend a few hours in Berlin. You'll see only a fraction of the city on a whistle-stop tour. You could fly to Berlin at the start or end of your trip, from London or Copenhagen, in a fraction of the time and have a decent amount of time to have a proper visit. The alternative is to take a tour of Warnemunde itself (which is a very popular holiday resort) and its neighbouring towns. All the operators offer such tours but my vote goes to Friends of Dave for their unique tours run by locals - for me, it was the highlight of my whole trip. You do need to book early as they are a small company and offer only two or three tours per day. Tallinn is a small city with only a small number of interesting sights. Again, the Hop-on Hop-off buses are waiting right at the port and they are only slightly more expensive than the shuttle to the city. The main attraction of Tallinn for me was the range of souvenir clothing - warm ponchos, hats, jumpers etc. were available in a greater range and at better prices than elsewhere. Helsinki is another small city and a tour, either with the ship or with one of the big operators, is recommended as the main sights are out of town. Alternatively, it's a charming place to wander around and the harbourfront markets are worth visiting. Like Helsinki, the main sights are out of town. If you're docked in town and have several hours in port, then you can visit them easily on the Hop-on Hop-off bus. However if you are docked in Nynäshamn, which is nearly 40km (25 miles) from the city, then it's better to take an excursion with the ship or a tour company. I took the Rick Steves guide when my husband and I went on our Baltic cruise (paperback and Kindle versions are available). Every step and turn that Rick outlined in this guide was spot on! The only port that Rick didn't seem to cover was Aarhus, Denmark. For all other ports, he gave very useful general information, top sites to see, as well as great opinions and advice. He even included a few useful phrases in the native language. 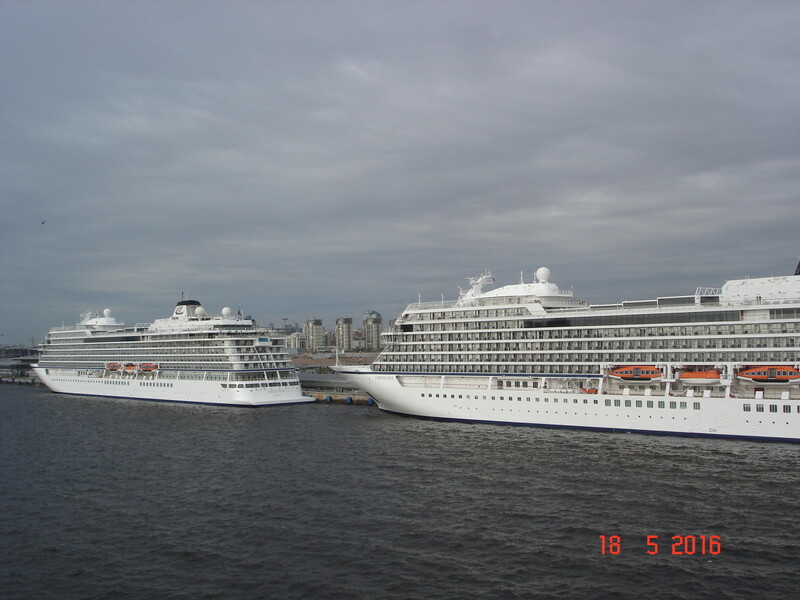 For many people, St Petersburg is the main reason they choose a Baltic cruise. It's so difficult to get a visa to visit Russia otherwise. Unfortunately you can't just get off the ship and do your own thing in St Petersburg: you are only allowed off the ship if you're on a tour organised by the ship or by an authorized tour operator. 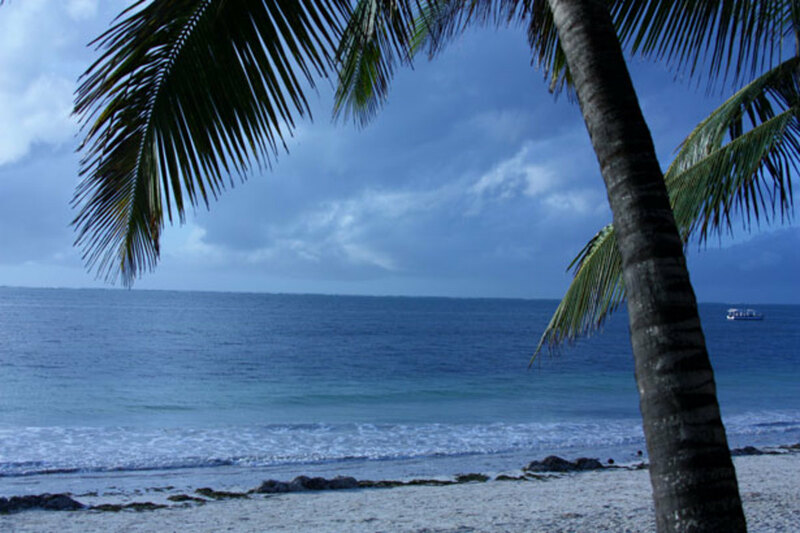 All the tour operators offer the same basic tours. Don't waste too much time comparing details: you'll find the itineraries change on the day anyway, depending on the tickets they've been able to arrange for the museum visits. For instance, I chose Alla Tours because their tour offered three hours at the Hermitage instead of two - but on the day, they had been allocated a 10.30am slot instead of 9.30, so we only got two hours anyway. I found the standard tour frustrating: it is so jam-packed that you're frog-marched through the museums and gardens and barely have time to get a photo! I would recommend joining the forums at cruisecritic.com and finding the "Roll Call" for your cruise. This will put you in touch with other passengers. If you can get a group of six or eight passengers together, you can arrange a private tour for about the same price as the standard tour. The standard tours of St Petersburg assume you want to see ALL the tourist attractions, just to be able to say you were there. Time is so limited - yes, even on a two-day tour - that you'll be rushed through each one. If you'd rather see quality than quantity, then it's possible to see and have time to appreciate all the best sights in St Petersburg. 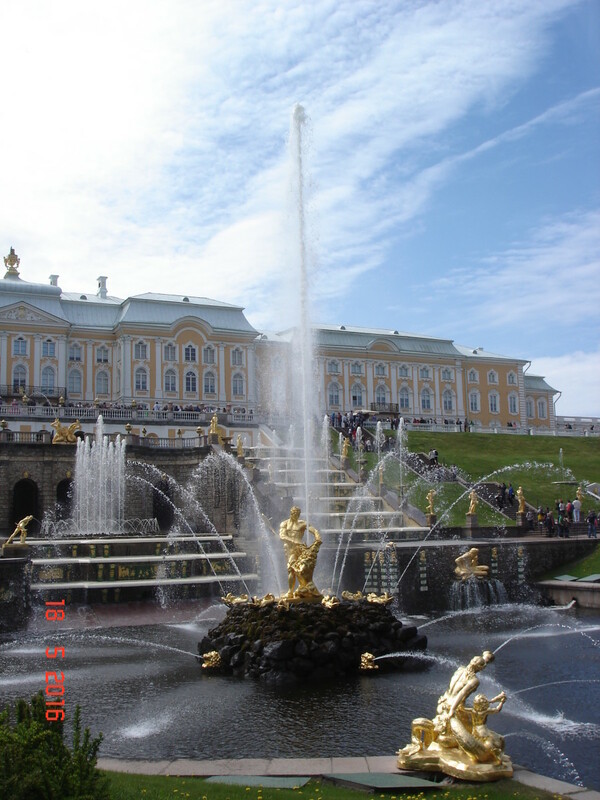 Catherine's Palace and the Peterhof Palace are both completely fake. They were destroyed by the Nazis during World War II. Some of the treasures were saved but they are all in the Hermitage. So if you visit these palaces, you're seeing a modern recreation of the floors, walls and ceilings, and furniture and artworks taken from elsewhere. Even the famous Amber Room is completely new (work started on it in 1975) - and though you can admire the workmanship, it is an anti-climax. The amber used is a milky coffee color and it doesn't glow, because the lighting is kept low to preserve it. If you miss these two palaces, you will still see the same architecture and interior design in the Winter Palace at the Hermitage Museum, in more original condition. Omitting Catherine's Palace will save you a long detour to Tsarskoe Selo (there is nothing else to see there). However you should still make the trip out to Peterhof, as the lovely gardens and fountains are not to be missed (perhaps a picnic lunch?). 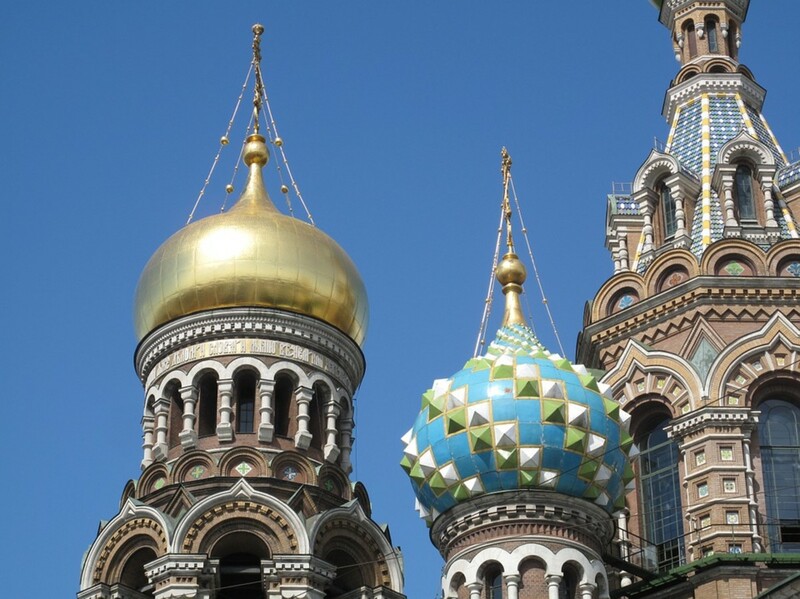 St Isaac's and the Church on the Spilled Blood have spectacular mosaics and beautiful stonework and are a "must see". The church in the Peter & Paul Fortress is very simple (the columns are painted to look like marble!) - the only interest in that church is the fact that the Romanovs are all buried there. If that interests you, then visit - if not, the Fortress can safely be omitted from your tour. 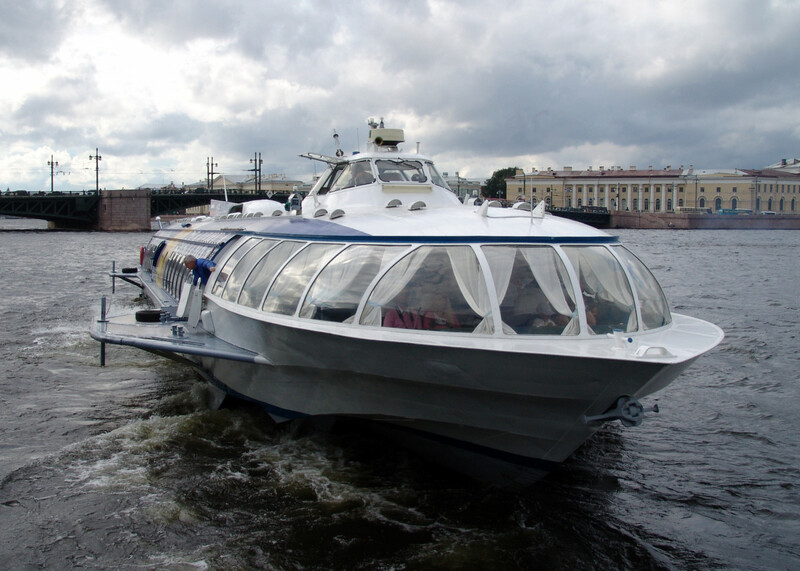 A river cruise and a trip on a hydrofoil are often included. Both have small windows so you don't see much of the views (and even less if it's a cold day, because the windows fog up). I would only go on a river cruise if the weather was good enough to sit in the open section at the back of the boat. The subway stations built in the 1950's are amazing - but if you are going to include them in your tour, insist on visiting the old stations. The standard tour often takes you to more modern station because the parking is easier. The mosaics in the newer stations are nice but not worth taking up precious time for. The Hermitage is a vast museum and you could easily spend the entire day there. Most tours allow only two hours, which is just enough to walk briskly through the whole museum, and spend some time at the Rembrandts. If you are interested in art, it would be worth researching what is on show in the Hermitage's vast collection and deciding which sections you'd most like to see. The Fabergé museum is beautiful if you are interested in Fabergé eggs and jewelry. If not, why go? So, you've removed some non-essentials from your list of sights. What will you do with the extra time? 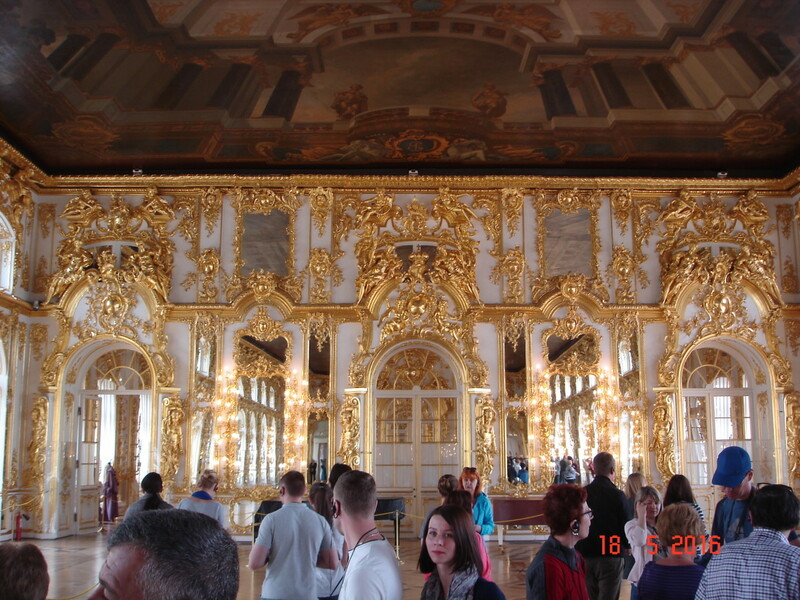 As I've said, you will spend some of the time just enjoying the other places (Peterhof Gardens, the Hermitage, St Isaacs) instead of rushing through them. But I would also include some time on the Nevsky Prospekt to go shopping. And you may have some members of your group with special interests - e.g. ballet or opera fans might want to step inside the famous Maryinsky Theatre. 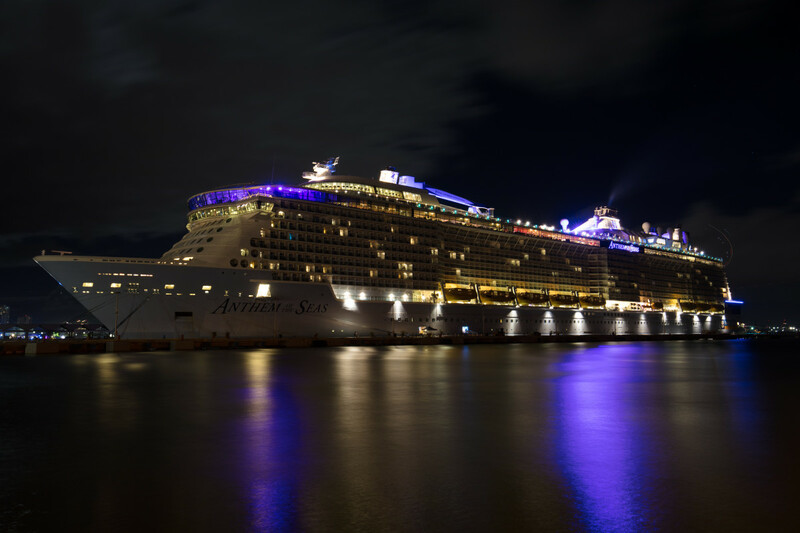 Post-cruise, you may need to head straight home on the same day - but it's always best to book a late flight in case the ship is delayed. The only snag with booking a late flight is that if the ship arrives on schedule, you'll have a very long wasted day. You'll be expected to clear your cabin by 8am, your transfer will occur shortly after, and then have to sit round for hours at the airport until your flight time. That's where debarkation tours come in. When you book a debark tour with your cruise ship, your luggage will be taken straight to the airport while you go on a coach tour around the city. They are planned to ensure you get to the airport in plenty of time for your flight. It certainly beats hanging around the airport! It's not necessary to book a debark tour in advance - we booked ours the night before we disembarked. If you start your cruise in Copenhagen, consider booking an embark or debark tour with your cruise line. Unfortunately no, you are only allowed off the ship if you are on a tour organized by the ship or one of their authorized tour operators. Thank you for the additional information Dave, I am sure others considering your wonderful tours will find it useful. Keep up the great work! Great information. One question I can’t seem to find a good answer on is are we permitted to go off on our own after an excursion in St. Petersburg and make our own way back to the ship?? Hello and thank you so much for the recommendation. I just had someone sign up for our tour and site you as the reason, so I thought I'd come see for myself what was here. How nice and I want you to know we appreciate it very much. Just so your readers know, we are just a very small, private and exclusive tour provider. We only take 26 people per day and our tours sell out pretty fast. I'm an American who has been living in Germany for 19 years and was an avid sea cruiser. When I came to Warnemünde I was enchanted by the region and put together a tour to show its best features as an alternative to the long and exhausting tour to Berlin. After 9 years of 5 star ratings at TripAdvisor, being featured in Rick Steve's Cruising Northern Europe book and thousands of delighted guests, I am happy to say that I have trained and developed a local friend named Christian to help run my tours as I now organize and host river cruises around the world with AmaWaterways and he maintains the same high standard and quality as I do, and it makes us happy to share our area with our visiting "friends". We love what we do and I think that shows. It was kind of you to say so. Have a super day. I've never been on a cruise although I have travelled internationally. I'm considering this option for my next trip so your advice is certainly welcome. I'd love to go back to Russia, as I went back in 1986. Thanks for the tips. I'm thinking of a cruise to Russia because it's the easiest way to get a visa - thanks for the suggestion of forming a private touring party. Yes Kaili, that's a lesson I very nearly learned the hard way! Oh how lovely Marisa. Cruising is fabulous, isn't it! What a close call with that connecting flight...with overseas flights you always need to tack on a day just in case.